This March I got to return to my old stomping grounds in Southern California often called SoCal. It was so good to reconnect with friends and to visit new places! I loved my return to Biola University in La Mirada in the LA area. 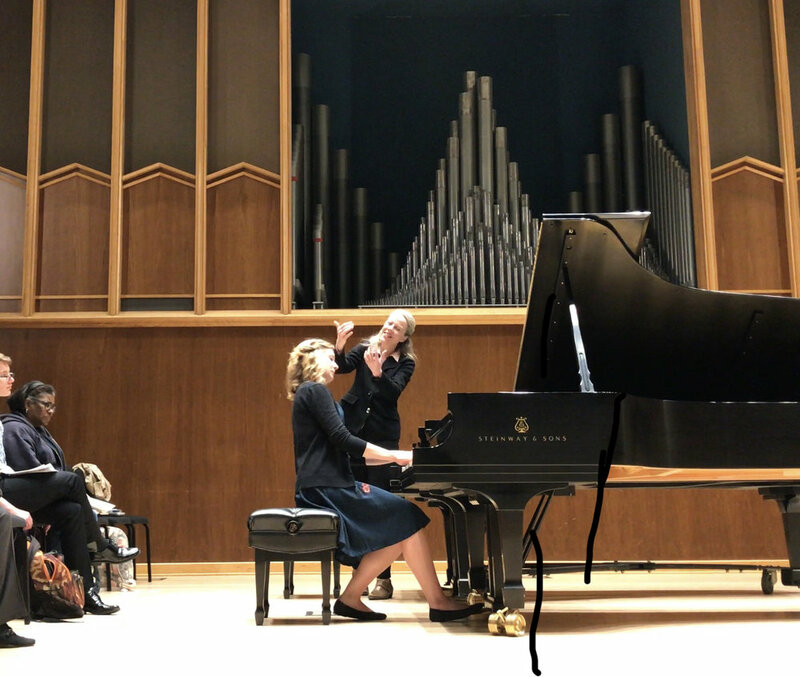 Lansing Recital Hall with its new Steinway model D was such an inspiring venue both for my recital and my master class. I loved working with the students, what a fun group of musicians! My next tour stop was Idyllwild, the pristine and gorgeous mountain resort outside of the city of Los Angeles. The Idyllwild Arts Academy campus features the architecturally stunning William M. Lowman Concert Hall. What a great place to perform classical music! Next tour stop was beautiful Pasadena with coaching sessions at the Pasadena Conservatory of Music, where I was a faculty member during my student days. I very much enjoyed my return to Pasadena Presbyterian Church. The 1976 church building by the architect John Gougeon is absolutely fascinating. Take a look at all the round features! Flying back to Ohio on a red-eye and hitting the ground running, I got to interview members of the Chamber Music Society of Lincoln Center as part of the Tuesday Musical pre-concert series at E.J.Thomas Hall in Akron, Ohio. We had a great time talking Russian music and getting to know the monumental piano quintet by Sergei Taneyev. Special thanks to Wu Han, who shared with me her personal tips for using an iPad and blue tooth pedal on stage. The following night I got to do a ‘home play’ in North East Ohio presenting a solo recital at Guzzetta Hall on the campus of the University of Akron. It is always fun seeing so many friends in the audience. I am excited to host another set of pre-concert talks for The Cleveland Orchestra before the end of the month. My next tour stops are the great cities of Washington D.C. and Chicago in April for a few solo recitals. Busy times!